each january, i start fresh by making a vision board. compiling images and words that inspire me. sometimes things to work towards, but more often, things in my subconscious that seem to pour out onto the page. 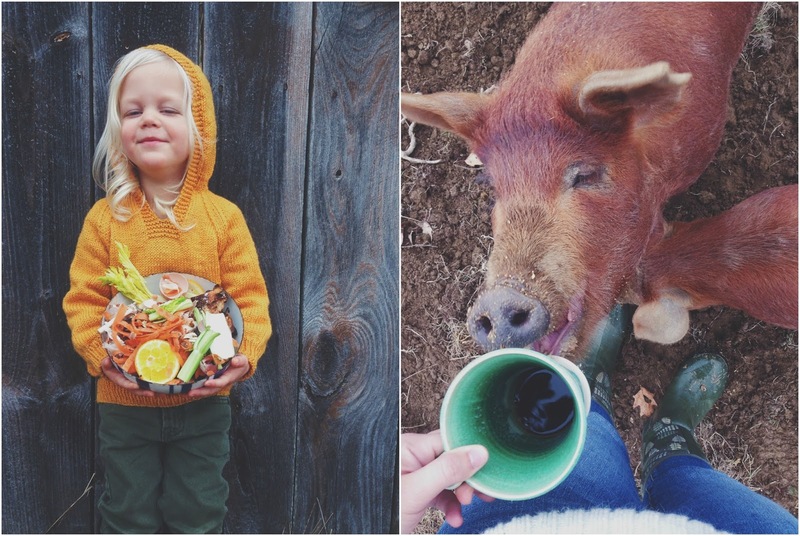 year after year i find a common theme repeating itself- images of chickens and goats and pigs and sprawling gardens, sunshine soaked land, and makeshift greenhouses. all reiterating this small hidden desire to have a farm someday. our own little homestead. 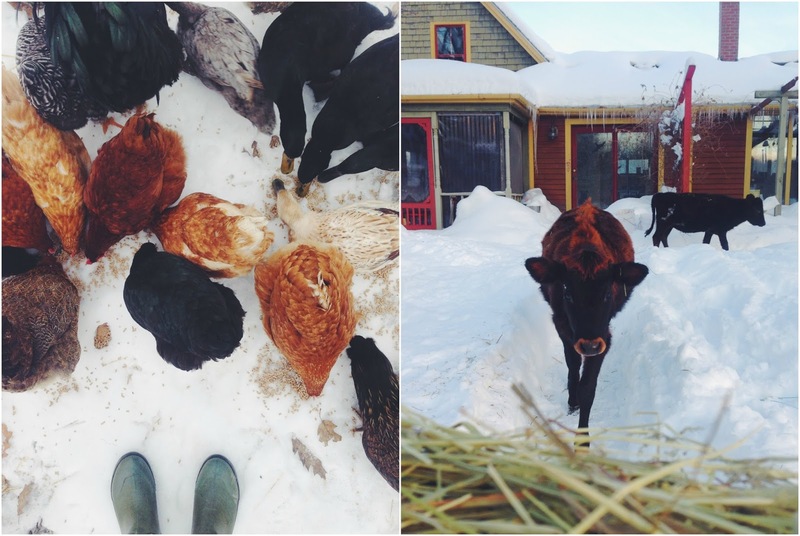 What makes me most happy lately is seeing the way individually and as a family we're taking steps towards the life we want to lead, and finally realizing that it's a process not an immediate decision to assume the image I imagined homesteaders to have. 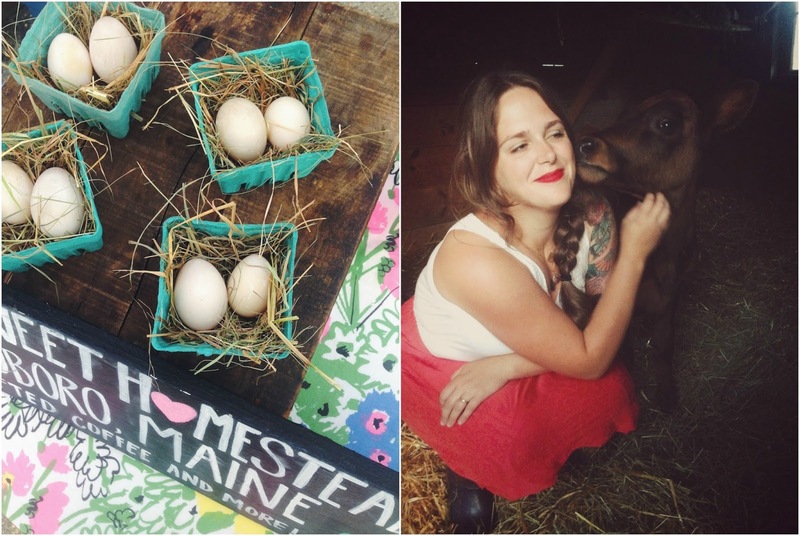 Let me elaborate- when we first started our farming journey it felt like at times we had to do it all- we had to raise all of our food, make all of our own bread and yogurt and kefir and so on, and knit all of our woolens- which you should read that as I had to do all of those things because my husband still works off farm and has his farm plate quite full without me tossing knitting and fermenting on top! So, because we knew so little about all of these things we were taking on there was incredible stress, failure after failure, and just a general feeling of mediocrity. It took me a while but I did eventually realize that focusing on doing one thing well at a time lends itself much better to reaching these goals we are striving towards. Now I am making all of our own bread, I am making water kefir and kombucha, the majority of my son's winter wear I did hand knit and I am (so far) quite successfully implementing biodynamics into our upcoming growing season...but I didn't try to do all of those things in one week. I gave myself time and room- to learn, to fail, to figure it out. It's much more manageable that way and I can actually see signs of progress vs. constant obstacles, which is extremely happy heart making. Asking my favorite recipe is like asking me to pick a favorite child. (Or at least I imagine that's what it would feel like as I only have one child!) Instead, I'll share a favorite cookbook because it has many of the recipes we keep in heavy rotation around here. It's called Local Flavors: Cooking and Eating from America's Farmers' Markets by Deborah Madison. I feel like everyone has heard of her Vegetarian Cooking for Everyone but no one talks about Local Flavors! It's organized seasonally and it's just so approachable, even for the beginning cook. There is a white bean, kale, and leek dish that you serve on crusty bread from that book and it is a much beloved staple in our house! Also- I'm super into Jim Lahey's no knead bread right now from his cookbook My Bread, although his method is widely discussed and can be found via a quick google! Ooohh, all time favorite? As someone that takes pictures all day every day the pressure of that question is enough to kill! Haha, right now I'm loving a picture I took of my son, Gus, last summer. The sun was setting and he was hot and sticky from the day and he's pulling up the timothy grass. Right now- with the never ending ice and snow it's just the sort of thing I could spend hours staring at. Hmm.. Well what I really love is my home in general. I moved 11 times in the 9 years before we moved onto our farm last year and, as I'm sure you can imagine, I lacked a solid feeling of home. After a little more than a year of being here I'm really starting to feel like this place is mine and it's just such a unique house- I love it so much! From the old cookstove to the huge windows in every room that make gray winters tolerable to the wide pumpkin pine floors in our living room- this place is just so special. I feel very, very fortunate to live my life within these walls. A greenhouse. A really big, really sturdy, really affordable greenhouse! My husband and I moved in together on our first date! And here we are 7 years, 3 states, 2 weddings, and 1 kid later! thank you so much, julie! it was so so lovely to spend the morning poking around your archives and getting so so excited for the upcoming growing season!